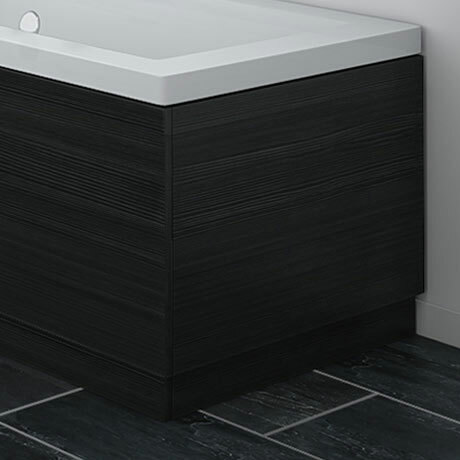 The Brooklyn Black end bath panel, features a textured wood effect finish which is extremely hard wearing and easy to maintain and has colour matched edging strips for providing a flawless look to the exterior. The colour will not fade over time and is water resistant – making it ideal for use in the bathroom. Please Note - This Listing is for the End Bath Panel Only, baths, taps & other accessories are for display purpose only and are not included.